Our pure, wholesome, FARM FRESH MILK and cream are bottled right here on our NORWELL FARM. We also craft our own old-fashioned farm made ice cream, as well as our farm churned butter. Minimal pasteurization is our family tradition. that is why our milk has a sweet farm flavor that you won't forget, as well as the nutritional benefits that Nature intended. 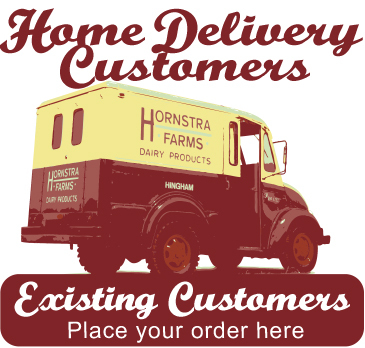 Give us a call to arrange to have Hornstra Farms milk in our old-fashioned, reusable glass bottles, as well as many other healthy and nutritious products, delivered to your door step. 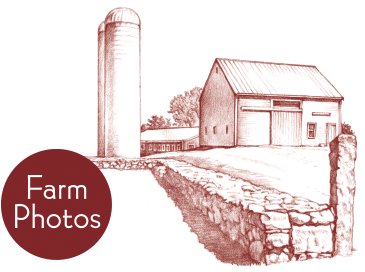 You can also stop by our Norwell Farm Store to treat yourself and your family to Hornstra Farms. CLOSED EASTER DAY, APRIL, 21, 2019 SPRING HOURS: Our Norwell Farm Store at 246 Prospect St. is now open SUN-SATURDAY from 10:00 AM - 6:00 PM. The Seasonal Ice Cream Dairy Bar is open daily from Noon-6:00 PM.